*Free Compelling YA Fantasy by Award Winning Writer! 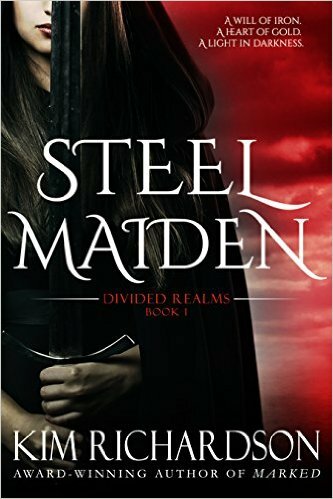 *Steel Maiden (Divided Realms Book 1) by Kim Richardson. Price: Free. Genre: YA Fantasy, Sponsor, New Adult & College, Coming of Age, Sword & Sorcery, Paranormal & Urban, Action & Adventure, Fantasy, Arthurian. Rated: 4.7 stars on 7 Reviews. 234 pages. ASIN: B00ZDFUADO. Reviewers love it: Awesome book! Very exciting! Compelling! This is a finely written and a fun book to read! What a ride! I could see actually see it happening and everything was in full color. I would highly recommend it! ***Awoken (The Lucidites Book 1) by Sarah Noffke. Price: Free. Genre: YA Romance, Sponsor, Time Travel Science Fiction, Fantasy, Science Fiction, Science Fiction. Rated: 4.5 stars on 138 Reviews. 314 pages. ASIN: B00PXKROK6. Reviewers love it: Awoken is a page turner from the beginning! It had been sitting on my “To Be Read” list for way too long! Once again, I was blown away by Noffke! A fun introduction to the endless horizons of our dreams! I would absolutely recommend this book to everyone! *Roosters by Brian Vadimsky. Price: Free. Genre: YA Romance, Gothic. Rated: 5 stars on 9 Reviews. 218 pages. ASIN: B01BXS88QA. 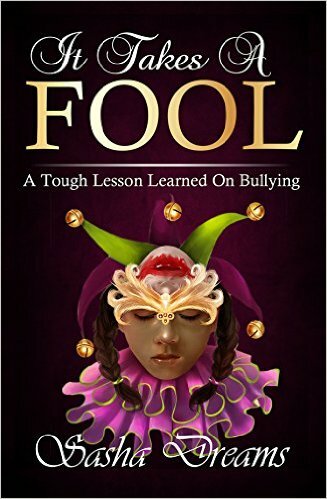 **It Takes A Fool: A Tough Lesson Learned On Bullying (Deal, Not Free) by Sasha Dreams, Xuyinyin, Jalyn Ely. Price: $0.99. Genre: Young Adult Deal, Sponsor, Friendship, Relationships, Teen & Young Adult Bullying, Family Relationships, Social Issues, Emotions. Rated: 4.9 stars on 52 Reviews. 108 pages. ASIN: B00O4LTNRM. Reviewers love it: This was a sensational read! It is a book for anyone whose life is touched by bullying. Your soul needs this book! Sasha Dreams created a story that was more like a movie! It had me crying! Highly recommended! ***Darkness Of Light (Darkness Series Book 1) by Stacey Marie Brown. Price: Free. Genre: YA Fantasy, New Adult & College, Paranormal & Urban. Rated: 4.5 stars on 484 Reviews. 308 pages. ASIN: B00BFKOEY2. *The Ship Finder by John Bluck. Price: Free. Genre: YA Fantasy, Post-Apocalyptic, Dystopian. Rated: 4.4 stars on 10 Reviews. 234 pages. ASIN: B00N42RZ9U. *Missing by D’qua Perrie. Price: Free. Genre: YA Mystery, Contemporary, Mystery & Detective. Rated: 4.9 stars on 7 Reviews. 230 pages. ASIN: B0148XC5RK. *These Are the Moments by Jenny Bravo. Price: Free. Genre: YA Romance, Contemporary, Inspirational. Rated: 4.5 stars on 23 Reviews. 349 pages. ASIN: B00X98ZVO0. *Better Off Dead (Fae-Ever Dead Book 1) by Claire Grimes. Price: Free. Genre: YA Romance, Multicultural, Paranormal. Rated: 4.4 stars on 10 Reviews. 158 pages. ASIN: B0178FJORE. Love, Lattes and Mutants by Sandra Cox. Price: Free. Genre: YA Romance, Penguin, Sea Stories, Genetic Engineering. Rated: 4.1 stars on 15 Reviews. 188 pages. ASIN: B00PP2ZXBE. Wolf Girl finds necRomance (Multi-Racial Monsters Book 1) by Gisele Walko. Price: Free. Genre: YA Romance, Fantasy, Paranormal. Rated: 4.1 stars on 8 Reviews. 222 pages. ASIN: B014S4AGY8. ***Saving Wishes (The Wishes Series Book 1) (Repeat) by G.J. Walker-Smith. Price: Free. Genre: YA Romance, Contemporary, Coming of Age. Rated: 4.5 stars on 241 Reviews. 338 pages. ASIN: B00BEJC9E6. One Crazy Summer (Repeat) by Scott McElhaney. Price: Free. Genre: Teen & Young Adult, Contemporary Fiction. Rated: 4.2 stars on 62 Reviews. 133 pages. ASIN: B006H6N634. Kill School: Slice by Karen Carr. Price: Free. Genre: Teen & Young Adult, Science Fiction, Dystopian. Rated: 4.3 stars on 10 Reviews. 379 pages. ASIN: B019EKVDIO. Teen Fury Trilogy by Amanda Torrey. Price: Free. Genre: Teen & Young Adult, Paranormal, Fantasy. Rated: 4.8 stars on 6 Reviews. 664 pages. ASIN: B00IQHBKJ4. **Along Came a Wolf (The Yellow Hoods, #1) (Deal, Not Free) by Adam Dreece. Price: $0.99. Genre: YA Fantasy Deal, Sponsor, Steampunk, Fairy Tales, Folk Tales & Myths, Mythology & Folk Tales, Fairy Tales, Fairy Tales & Folklore, Adaptations. Rated: 4.6 stars on 72 Reviews. 221 pages. ASIN: B00JH9R5YE. Reviewers like it: Just wow! Well written, original and creative! Pick it up and enjoy! This is a story you won’t forget! Rich and cleverly written! I would recommend this book to anyone who likes their their adventures innocent, their heroes plucky and their villains just the right side of scary! *Tutus & Cowboy Boots (Tutus & Cowboy Boots Series Part 1) by Casey Peeler. Price: Free. Genre: YA Romance, Sports, Family. Rated: 4.7 stars on 31 Reviews. 228 pages. ASIN: B019N9XVHM. **Niko (The Outsider Chronicles Book 1) by Kayti Nika Raet. Price: Free. Genre: YA Thriller, Horror, Dystopian. Rated: 4.6 stars on 53 Reviews. 231 pages. ASIN: B00FDZTUSK. *Hatred Day (Hatred Day Series Book 1) by T.S. Pettibone. Price: Free. Genre: YA Fantasy, Science Fiction, Horror. Rated: 5 stars on 8 Reviews. 356 pages. ASIN: B01AOC3KW8. Dark Angel Alliance: Gargoyles by Rach Elle. Price: Free. Genre: YA Fantasy, Epic, Teen & Young Adult. Rated: 5 stars on 6 Reviews. 340 pages. ASIN: B018KPDQJI. 2121: Neitoph Calls by Nikkita Pierrottie. Price: Free. Genre: YA Fantasy, Fantasy, Teen & Young Adult. Rated: 5 stars on 4 Reviews. 385 pages. ASIN: B00ZURC97K. The Quest for the Vile by W. Thompson. Price: Free. Genre: YA Fantasy, Action & Adventure, Graphic Novels. Rated: 4.8 stars on 4 Reviews. 282 pages. ASIN: B00JR8UQ7S. Scouts v. Neanderthals: Fire and Thunder by M Underhouse. Price: Free. Genre: YA Fantasy, Post-Apocalyptic, Teen & Young Adult. Rated: 4.5 stars on 4 Reviews. 272 pages. ASIN: B018KIC0K6. Midnight’s Cloak (Book One Of The Age Of The Wrath Series 1) (Repeat) by Justin E. Geary. Price: Free. Genre: YA Fantasy, Epic, Teen & Young Adult. Rated: 4 stars on 13 Reviews. 362 pages. ASIN: B008F8RFRK.